After years of monitoring, scientists managed to confirm that this green turtle successfully managed to migrate from Peru to Galapagos to nest on the beaches of Santa Cruz Island. Silvia. That was the name that the Peruvian scientists from the Center for the Integral Conservation of Marine Ecosystems of the Eastern Pacific, Ecoceanic, gave to a green turtle (Chelonia mydas) that, after years of follow-up, managed to successfully complete its first migratory crossing, from the beaches of northern Peru to the Galapagos in Ecuador, to reproduce. The first time the scientists at Ecoceánica saw Silvia was in July 2012. It measured 75.6 centimeters and was a subadult turtle swimming in the waters of the Ñuro, north of Peru. The following year, in August, they saw her again in the same place. In 2014 they saw it twice, in August and in November. Four years passed then without news of Silvia, who at that time was only called as the “92”. The number represented the order in which it had been recorded by the Ecoceanica scientists. In total, the researchers registered 350 turtles over nine years of studies on the beaches of Ñuro and Órganos. In March 2018 they saw her again and by then she had become an adult of 90 centimeters. It was then that, for the first time, the scientists were able to confirm that it was a female. An email sent a year later brought the latest news from Silvia: on February 6, 2019 it was found nesting on Las Bachas beach on Santa Cruz Island in the Galapagos Islands. Ecuadorian scientists recognized Silvia for the brand that Peruvian researchers had put in order to identify her and follow her up. When they saw it, they immediately communicated with Peru to give the good news: a turtle sighted on the beaches of El Ñuro had managed to make a successful migration to nest in Las Bachas. 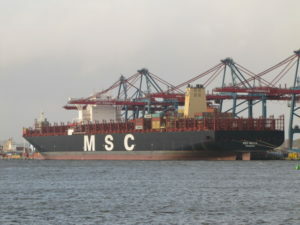 To do so, it had to overcome intense threats along the more than one thousand kilometers of distance that separate the Peruvian coast from the Galapagos Islands, swimming through the dangerous international waters or the high seas. There, sea turtles swim to their own fate. Nothing protects them from becoming entangled in fishing nets, nor from being caught incidentally by fishing fleets or from being killed when they collide with boats. Although the state of conservation of green turtles is stable, it is still in danger according to the International Union for the Conservation of Nature (IUCN). In fact, six of the seven species of marine turtles are under some category of threat. In addition to the dangers already mentioned, Silvia is exposed to poaching for the consumption of its meat and eggs, suffers the destruction of its habitat and the consequences of pollution of the oceans. These animals often confuse the floating plastic with jellyfish or squid that are part of their diet. “When ingested they end up drowned or with damage to their digestive systems”, explains the marine biologist, Carlos Gaymer, director of the Center for Ecology and Sustainable Management of the Oceanic Islands (ESMOI). 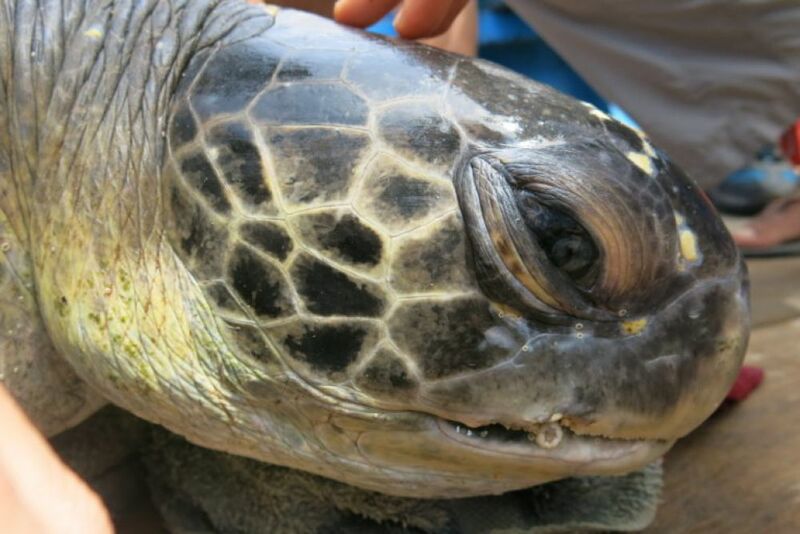 “The interesting thing about Silvia is that since 2012, despite the threats we have in the sea, the turtle has survived. In six years we have seen her become an adult and make her successful migration and nest in the Galapagos, “says biologist Shaleyla Kelez, director of Ecoceánica. In recognition of that courage, the tortoise was named after the marine biologist, Sylvia Earle, who at 83 has made one hundred expeditions and records more than 7,000 hours under water. In 1970, Earle headed the first team of female divers, who dived for two weeks to reach 18 meters deep. She has the solo dive record: 1000 meters. In 1990, she became the first woman to assume the direction of the National Oceanic and Atmospheric Administration of the United States (NOAA). The Silvia turtle was probably born in Galapagos, on the same beach where it was found nesting in February of this year. After being born, it was left adrift floating in the ocean until it reached the necessary size to establish itself in its feeding zone, El Ñuro. After that they may have spent between 20 to 30 years until they reached their sexual maturity and, when that happened, they started the trip back to Galapagos to nest and give life to new turtles. This chronology in the life of Silvia is possible to know it since the turtles are faithful to their places of birth, that is to say, that they return to the same beach where they are born to reproduce. Likewise, they are also faithful to their feeding areas, explains Kelez. On the other hand, it is possible to suppose that this is the first migratory trip that Silvia makes to reproduce since, in addition to being the first time that the Ecuadorian scientists recognize it, “we have seen it in Peru last year in March, which is more or less the nesting season. Also, when they go to nest, they stay there for many months, “explains Kelez. It is likely that Silvia is still in Galapagos, so for now, it is protected in this important marine reserve. When you start your trip back to Peru, to feed yourself, you will be exposed again and you may not reach it. If it does, it will be safer on the Ñuro beaches than on the high seas, since in this place on the Peruvian coast “the fishermen increasingly value the turtles and take care of them,” says Kelez. However, this space has not yet been protected, so Silvia could be in danger anyway. The Ñuro is part of the proposed geographical space to become the Grau Tropical Sea National Reserve, which would be the first marine protected area in Peru with 116 thousand hectares. However, although six years have passed since the National Service of Natural Protected Areas (Sernanp) began the management of the creation of this reserve, there is still no final answer. With five oil lots located within the area proposed for protection, four of them in operation, Peru’s hydrocarbon sector has objections to the marine reserve, fearing that the protection of this area will affect investment. This was stated by the Peruvian Hydrocarbons Society in an interview with Mongabay Latam. Anyway, the Ñuro fishermen’s guild has organized to protect the turtles. Shaleyla Kelez says that there has been a labor conversion and at least 30 Ñuro fishermen have left fishing to devote themselves to tourism where sea turtles are one of the main attractions. “They have realized the economic benefit that the turtles provide them. Thanks to tourism they now have a water truck, they have bought an ambulance and other things for the community, “says Kelez. In addition, the biologist ensures that other coastal locations have begun to imitate the initiative of the inhabitants of Ñuro to see the benefits that tourism, associated with the conservation of turtles, has brought to this community. “This is the only place in Peru where there are adult green turtles. That’s why this area is so important to conserve, “explains Kelez. 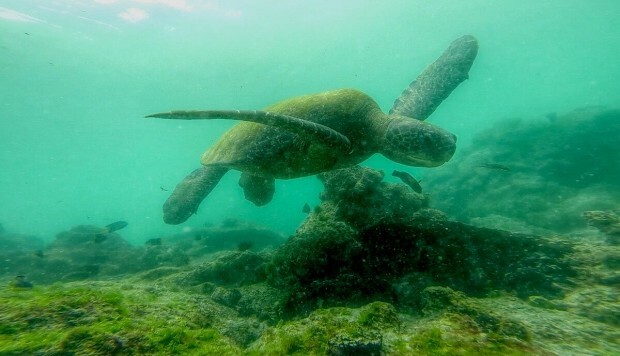 According to the IUCN, “a direct relationship has been found between the protection of marine areas and the state of conservation of the turtles” since, due to their vegetable diet, they are closely associated with seagrass beds. The National Service of Natural Protected Areas of Peru expects that by the middle of this 2019 the reserve will be available, a place where humpback whales also come to breed, manta rays, hammerhead sharks and where there is a significant number of endemic species of invertebrates such as corals, anemones, molluscs and crustaceans.